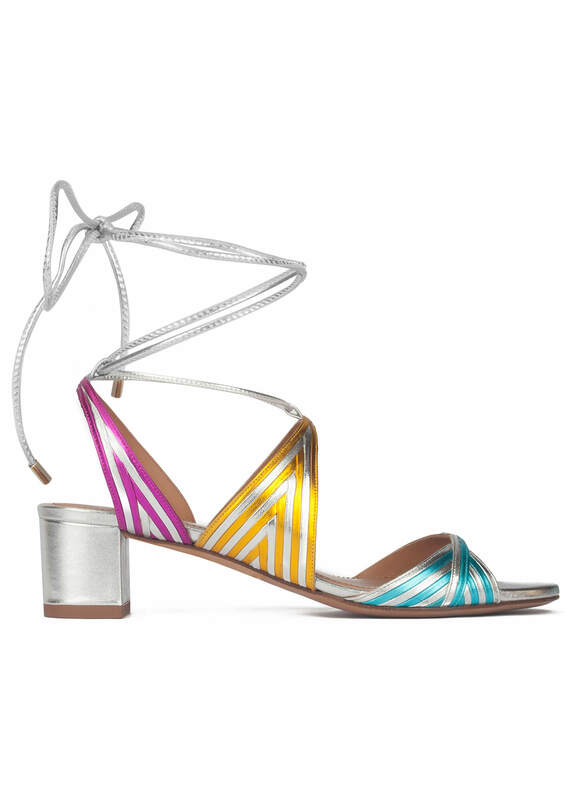 Feminine and original, Odilia sandals are constructed from silver, pink, yellow and blue metallic leather. They are set on a comfortable 5 cms block heel. The lace-up strips and the vibrant hues combination make this design a funny day and night pair. Silver, blue, pink and yellow metallic leather. Reference: AO244 napa metal argento.